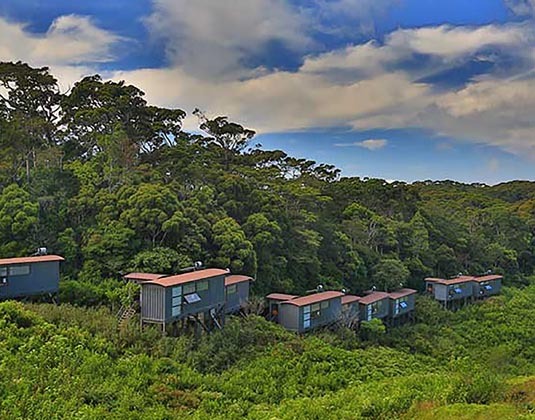 This eco retreat borders the southwestern fringe of Sinharaja forest reserve on a plot of land previously used to cultivate tea and has been designed to preserve and provide a sensational experience of the forest habitat. 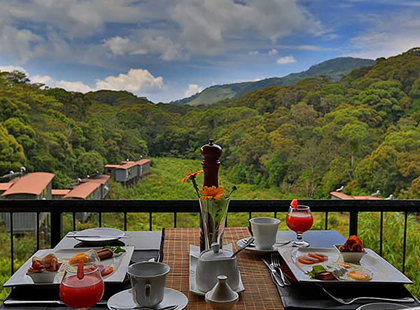 Comfortable chalets are perched on stilts and offer breathtaking views of the forest canopy and tea estate. In chalet with shower, seating area, safe and deck. 2 hours from Uda Walawe National Park.